The physical benefits of martial arts, in the areas of fitness and self defense, are well known by most. However, many may not be completely aware of the internal advantages of this aspect of training. 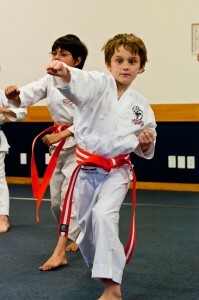 Martial Arts are a great compliment to an academic programme, no matter what age or grade. It organizes a student’s mental energy, and transforms emotions into positive motivational forces. Personal expression is a huge factor in developing a young personality. Developing a positive edge, while losing negative attitudes toward life’s challenges, can be the difference in success or failure. Students learn personal discipline in order to finish what they start with confidence and creative strategy. The increased memory capability that comes through in training can be of great value in problem solving and processing new information. Initiative, concentration, and single-minded attention learned through the power of mental and physical focus, are invaluable when a student faces a situation where they have to stand up for themselves in the face of adversity. There is a ‘Zen’ concept that states there are two educations, the first you learn to make a living and the second you learn how to live. 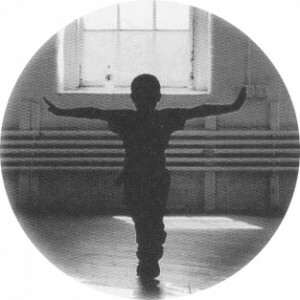 A background that includes a Classical Martial Arts programme can provide essential skills needed to succeed in life. It is a great investment for your child’s growth now, and for the future! Children ages 4-7: Introduces young bodies and minds to fitness, focus, and discipline. Children ages 8-11:Has been found to improve not only fitness but also school performance. 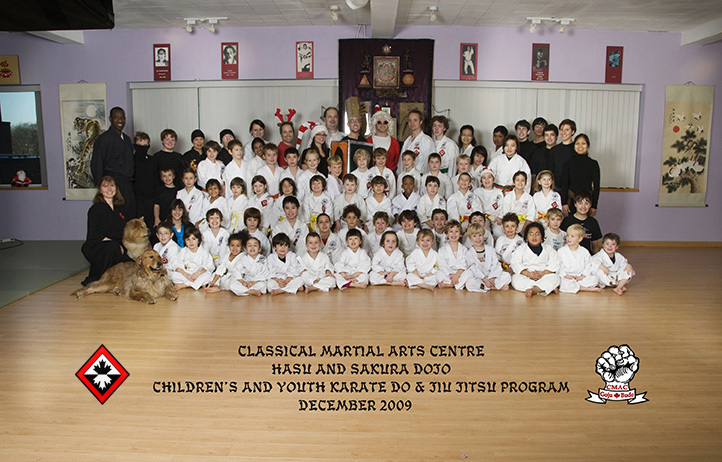 Youth ages 12-15: Uses Goju Karate-Do to enhance fitness and promote leadership skills. 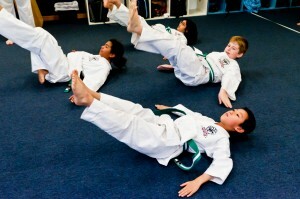 Martial Arts instruction has long been recognized for its ability to create “A” students. Feedback from parents everywhere indicates that there are an extraordinary number of cases where children have improved academically – in many cases quite dramatically. What is it about the Martial Arts that can cause such positive transformations? Maslow’s hierarchy of human needs states that we must satisfy lower level needs before we can move on to achieve higher level needs – Martial Arts helps one move beyond the level of safety and security needs. The Martial Arts provides young people with self-defense knowledge which enables them to concentrate on academics without added distractions and anxiety stemming from insecurity. Improved attention span has been shown to be one of the most obvious tools for improving academic performance. Training in Martial Arts focuses directly on this aspect of development. Most students show an improved ability to concentrate both in terms of the quality of concentration and length of their attention span.students. Feedback from parents everywhere indicates that there are an extraordinary number of cases where children have improved academically – in many cases quite dramatically. What is it about the Martial Arts that can cause such positive transformations? Maslow’s hierarchy of human needs states that we must satisfy lower level needs before we can move on to achieve higher level needs – Martial Arts helps one move beyond the level of safety and security needs. The Martial Arts provides young people with self-defense knowledge which enables them to concentrate on academics without added distractions and anxiety stemming from insecurity. 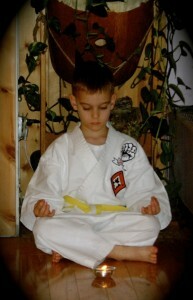 In addition the breathing techniques taught are a form of meditation and help students deal with the daily stress and pressure associated with exams, quizzes and reports. The increased self confidence which Martial Artists develop is connected to better physical and mental health, better appearance, and better academic performance. 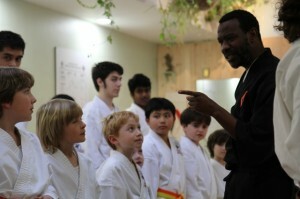 Respect for authority figures, as well as peers, is an important part of Martial Arts training. 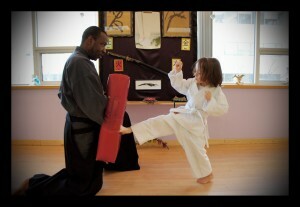 The discipline acquired in the Dojo goes a long way to forming positive relationships within schools. After consistent training students emerge with an increased level of mental discipline. This can help students deal with the many distractions that can adversely affect their grades. 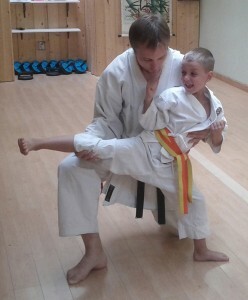 Progressing towards Black Belt requires the successful completion of belt promotions (smaller goals). The student learns that big goals can be achieved if they develop goal setting strategies.